What Does Your Business Look Like to Your Customers? Are your business listings accurate across the web? What sites are you and should you be listed on? Are your social media accounts engaging enough? 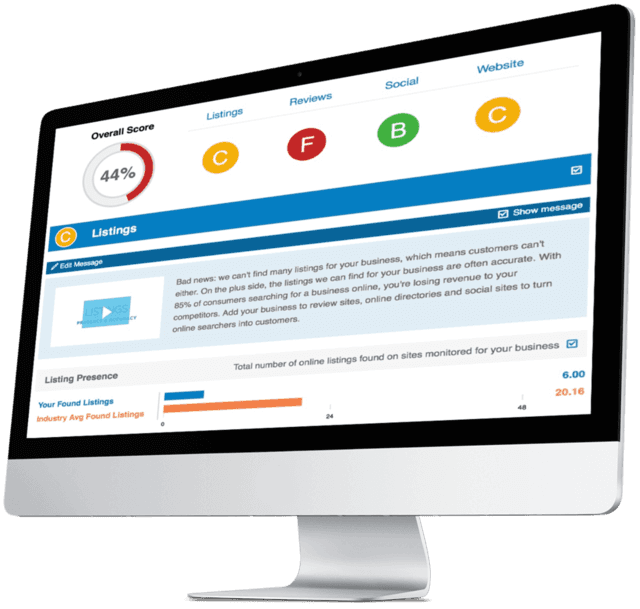 Our 7 page Snapshot Report will grade your business on vital data you need to stay on top of. Everything from your online listings to tweaking your website, your overall visibility on the web, and if your data is incorrect or missing. It will grade your social media presence and show you how your business reputation ranks against your competitors. *There is no cost or obligation to claim your report.